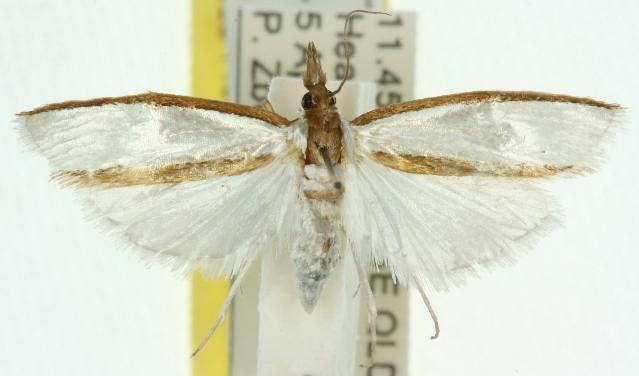 The adult moths of this species have white forewings each with a dark brown line along the costa and along the hind margin. 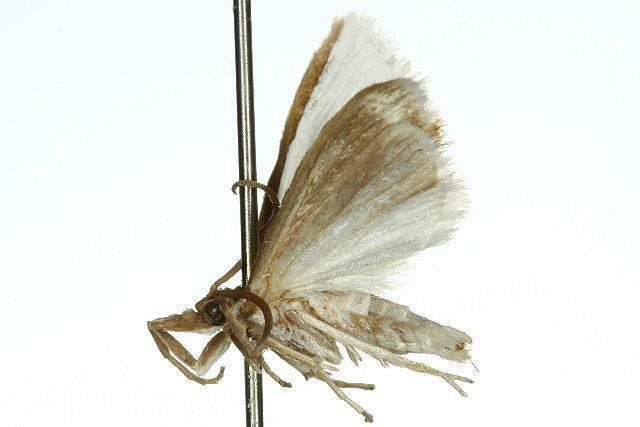 The hindwings are white. The head and thorax are brown. The abdomen is off-white. 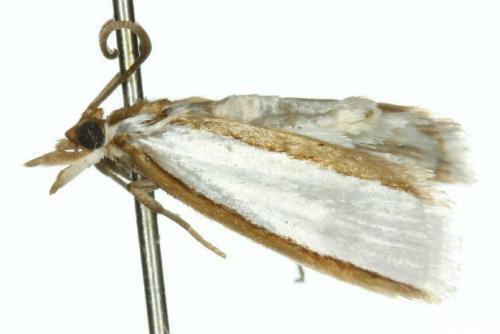 The antennae of the male are thicker than those of the female, but without pectinations. The wingspan is about 2 cms. Volume 10 (1911), pp. 114-115.